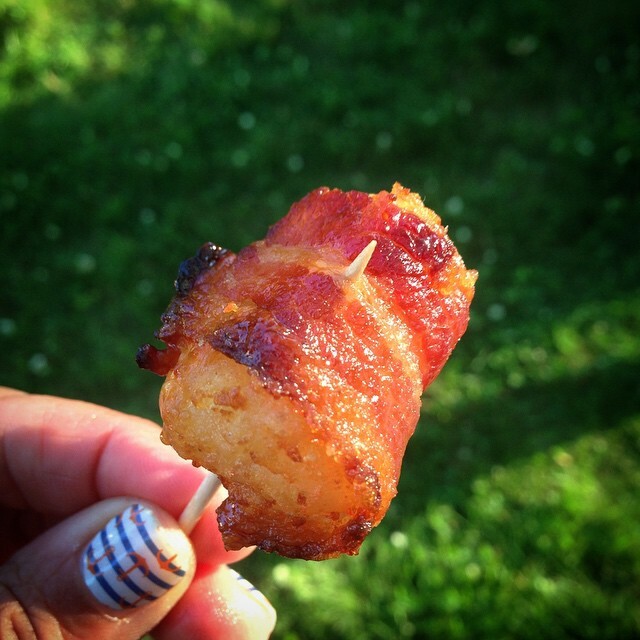 This year we made bacon wrapped tater tots. Or as I like to call them, Pigs in a Pilla (pillow). These are tater tots and cheese, rolled in bacon and dipped in brown sugar before baking. And they are delicious.